K0101 Ancient China Spade Coin (Bo-Bi), BC 600 to BC 300, Rare. Please refer the picture, Fine Condition. Weight: around 4 to 6 grams. 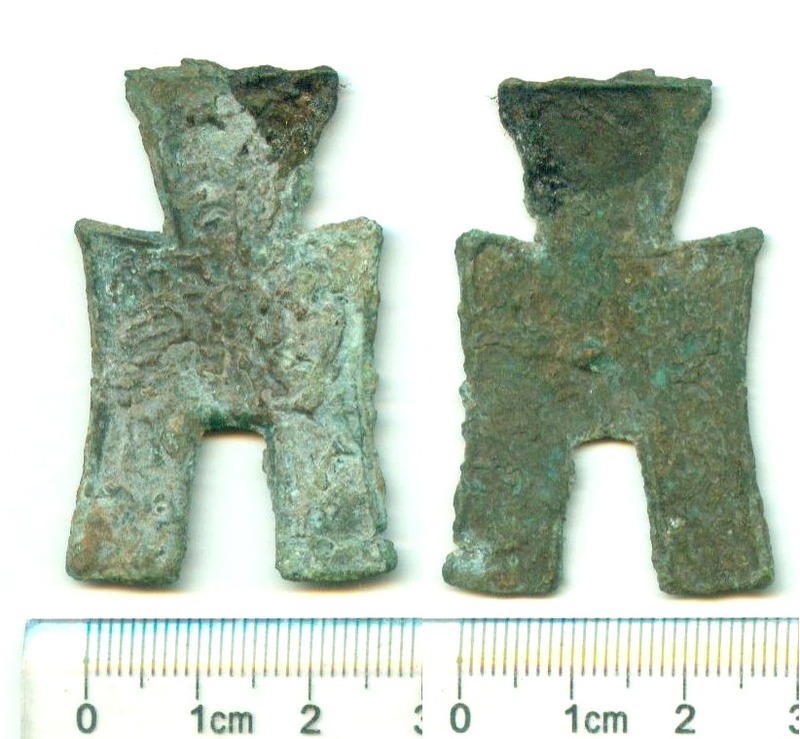 Minted during China East Zhou Dynasty. Spade coin is called "Bo-Bi" or "Bu-Bi" in Chinese language. Spade Coin is a very famous and special coin minted in central part of China around 2200 to 2600 years ago. At that time, the round coin was not appeared. The spade coins were circulated in the market with other special coins around 2500 years ago, like bridge coins, knif coins, Cowri coins and shell coins.